This reporter was honored to have been asked to visit with Kunoichi-san, CEO of the Kunoichi Corporation concerning recent rumors concerning the increased number and abilities of its employees. As Kunoichi Corp. has only female employees, although it does use independent contractors of various genders, it is rumored that males, human or otherwise, have not been allowed inside the Kunoichi Corporation head quarters building. So this reporter felt honored to be invited inside the building to meet with Kunoichi-san, local human, herself regarding the rumors that have been circulating. She was a most hospitable hostess, as is the Japanese tradition, and explained to me several projects that the Kunoichi Corporation is undertaking to prove themselves good corporate citizens of SpinDizzy. She described one that is ready to be revealed and provided me with a press release from Kunoichi Corporation's public relations director, Haruka. It reads,“There has been much speculation regarding Kunoichi Corporation’s most recent project, including wild rumors of a man who claims to have been inside the building. The actual project has been creating @images for the guests of SpinDizzy. An example, The Watergull Guest, is shown on the left. This had to be kept confidential until final approval from Austin-sama himself, which has just been received. The reason Chiharu-san and Xiaoming-san have been called in from Yokohama office is that they head Kunoichi Corporation’s art department. We felt it would be best to have them work here where they could actually observe the guests. The project is well under way and should be completed shortly. Kunoichi-san told me that I had been allowed inside the building to confirm or deny information that @Action News had recieved from a usually reliable source. This information turned out to be correct for the most part, however as the interior of the building is still under construction I was asked to keep what I had seen and heard confidential until its grand opening. After her polite request I would have done so even without the kind words about the honorability of centaurs. Keep reading @Action News for more information of the contributions Kunoichi Corporation is offering to SpinDizzy. Kunoichi Corp. Feeds Diabetes Stick to Tigress! Aina', local SED soldier, had a temporary weakness for sweets. This weakness was later corrected by Morticon when he altered her diet to include some of the sugary stuff. But before he was able to do that, one of Kunoichi's minions noticed the weakness and indirectly gave Aina' a 'pixie stick'. Aina apparently couldn't resist the pure sugar substance in a paper tube; she swallowed all of the sugar that was left in it. Soon after, Aina' started acting completely unlike herself. Hyper is an understatement. 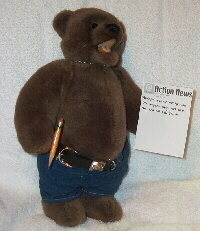 Morticon had the presence of mind to take a blood sample as soon as he learned of the source and had someone analyze it for him. The contents were shocking! The 'sugar' was actually highly modified and concentrated; certainly from a lab. It was estimated that had Aina' consumed a few more modified sticks, she might have required serious medical attention! All this because Aina' was merely observing the garden. Can Kunoichi Corp. really be considered an innocent organization with this sort of activity going on? When @Action news asked Aina' for a comment, she said, "Morticon assures me that Kunoichi Corp. won't get away with this!" "There has been some speculation regarding a tainted "pixie stick" that was ingested by an SED follower named Aina'. A few things should be known before judgement is passed. Firstly, Hotaru-san had ingested the confection in question and dropped it on the gound. Before Hotaru could recover the candy, Aina' had taken it without permission and finished the contents. Kunoichi Corporation does not manufacture candy and one of our employees was just as much a "victim" as Aina. In short, Morticon wants to blame a corporation for his follower ingesting tainted candy, he should be blaming Wonka Corporation." Having no @Action News personel on the scene during this, we cannot verify either version of these events. 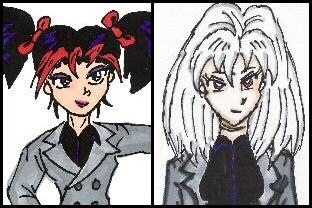 However, previous dealings with both the SED and the Kunoichi Corporation have shown these organizations' association with telling the truth to be at wide variance with one another. I've discovered that not everyone is that huggable, but I guess that's to be expected, sadly. However most of the furs I've encountered have been more than willing to give me a nice snug! If anyone reads this and hasn't gotten their complimentary random hug from me, feel free to find me and give me a hug! Not only will it help my goal, but it will also make you feel better. I frequent the Rose Garden on most days. Ba'ar Local centaur becomes foxtaur. The Spindizzy community was startled recently when Andros, formerly local centaur, became a foxtaur! When asked about this, Andros was quoted as saying that "I met the love of my life and we both decided that we preferred me as a foxtaur." The transformation was apparently painless and was accomplished through secret technology that the newly-minted foxtaur did not elaborate upon. Even though Andros is now a foxtaur, he still considers himself to be a part of the 'taur community. "I'm just made up of different species from the majority of those here." he is quoted as saying, adding that the centaur community, while surprised at his new form, continues to accept him as one of their own. Andros isn't ashamed of his new form. 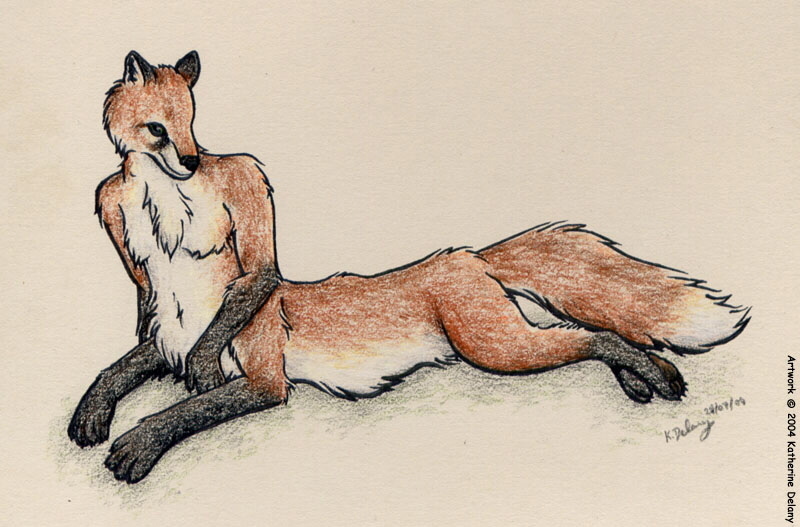 In fact, there are benefits of being a foxtaur. "It's easier to grip the ground. (and) I don't need shoes." he is quoted as saying, adding that," On cold days I'm a lot warmer seeing how I'm completely covered in fur." Note that the illustration is that of Shaterri of FurryMuck. The artwork is by Katherine Delaney who is the work's owner and holds the copyright. The character of Shaterri is copyrighted by his player. It is displayed as it somewhat resembles Andros' new form. Borris, local polar bear, has been careful in describing his relationship to Knut, the popular polar bear cub in the Berlin zoo. Happy to accept Knut as a "fellow polar bear", Borris has made no claims to have any closer relationship to the cub but he has not denied one either. Some have mentioned that about a year ago, Borris visited Berlin on some business involving disarming some powerful weapons left behind after the fall of the Soviet Union. Borris has made no secret of his work with the Russian Army. 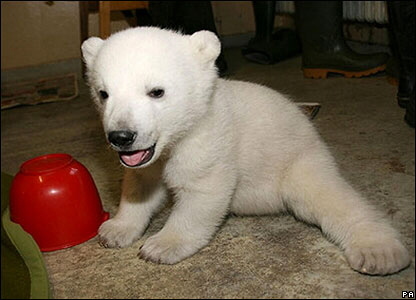 During his time there, Borris did mention several visits to the Berlin zoo where Knut was born. It has also reported that he has been recieving letters from Berlin from someone named Tosca. As this is the same name that Knut's mother has, whispers have been shared concerning Borris' involvement with little Knut. Some rumors have hinted that the freindly polar bear just might be Knut's daddy. Although Borris denies any romance with Tosca, in fact he claims to have never been near the Berlin zoo, the rumors persist. Knut enjoys the guests that come to see him, with only a thick plastic barrier between the little cub and the visitors. just as Borris has an affinity for "enjoying" guests, it seems that Knut's tastes run in that direction. Knut has also been observed taking his sturdy plasting toys and hitting, or "malloting" things and his ears perk up and he dances around and really seems to enjoy it when bagpipe music is played. 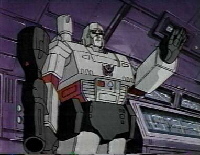 Back in the 1980s there was a syndicated cartoon program and a line of plastic toys called Transformers. The cartoon shows were pretty much a half hour advertisement for the toys. Much like the G. I. Joe tv show. It too was based on the Hasbro toy by the same name. Both had a whole line of figures and accesories that caused little kids ( and now some adults,) to spend their money on as much of these items as possible. Now, some background. The Transformers TV show was about a group of sentient robots from the planet Cybertron. There were both good robots called Autobots, and evil robots called Decepticons. Both groups of robots could change themselves into vehicles or other objects and back into robots at will. The characters, their abilities and attitudes were based on the forms (of toys Hasbro was pushing at the time), plot and toy sales figures. The Autobots left Cybertron and the Decepticons to find a free world, but the Decepticons followed, both crashed on earth, turned into robot/cars, and spent an entire series shooting lazers and guns and setting up booby trapped oil cans with no one getting hurt, just like in G. I. Joe. Darius says, "Welcome to Cybertron.......Mr. Prime. The Autobots are a virus....don't you see? You lead two lives, Mr. prime. In one, you're a decent transformer. You harvest energon cubes and fight for the rights of sentient beings everywhere. You even help Bumblebee polish the Dinobots.... But, in another life, you're playing the part of a semi truck, and helping humans. One of these lives has a future..."
Darius gets a patpat on the back for his spontaneous creativity and the fact he had me and others laughing at his great combination of The Matrix and The Transformers. Argon (picture by Nikon) Pictures of Nikon's version of the Rose Garden. Nikon, local dracoon, a blending of raccoon and dragon attributes, has offered @Action News her version of a view of The Rose Garden. By clicking on the thumbnail, you can see that Nikon has benches, the fountain, and of course rose bushes. She's also included a number of shade trees, one of which could very well be the Ancient Oak. 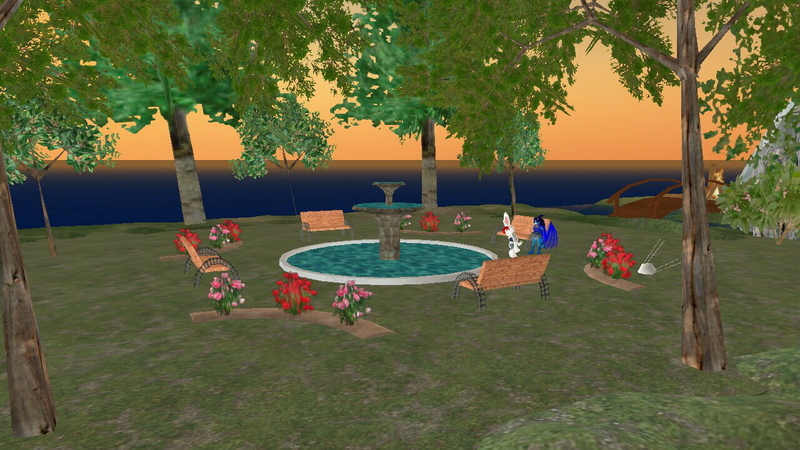 Nikon told @Action News that she captured these images from an area she has created on the Second Life database. Although these are better pictures than I have ever drawn of the Rose Garden, I think we can all agree the best and most accurate images of it are the ones in that exist in the minds of each of us. Patch O'Black Four-Kolor Kitty: Clothes Doth Make The Man. Hidy-ho, folks! This week, I thought we would take a look at super-hero costumes. As you know, most heroes wear colorful outfits that help to distiguish them from ordinary mortals. This actually is a rather complex topic, so to being with, I thought I would focus on the heroes from Marvel Comics. 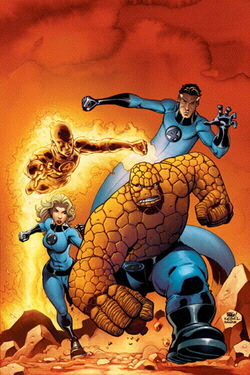 The best known costumes are those of the first family of super-heroes, the Fantastic Four. Early on, it was realized that normal outfits weren't going to cut it. Reed "Mr. Fantastic" Richards' suits wouldn't be flexible enough for his plyable physic. Sue "Invisible Woman" Storm would have to take off her garments to become completely inivisible, at least in those early years. 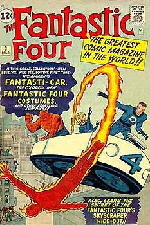 Her brother, Johnny AKA "The Human Torch", was literally burning up his clothing money. And of course, Ben "The Thing" Grimm would soon be 'clobbering' au nautral in ordinary clothes. So, what to do? Well, Reed, genius that he is, came up with a novel material called "unstable molecules". These unstable molecules mimic the properties of the wearer. Thus, they are perfect for any super-powered person. 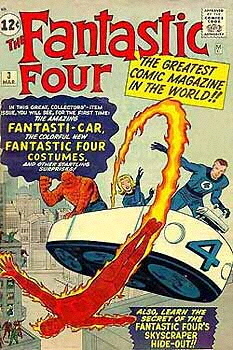 The Fantastic Four have allowed their friends in the Avengers to use this miracle materal for their clothing. The X-Men also use it, though they got their supply from some alien allies. Another property is that, even if worn by non-powered individuals, it is fire-proof and acts as extremely effective body armor. However, unstable molecules are not easy to create, thus very expensive, thus not all super-heroes use them. Spider-Man still has to make and mend his costume using traditional methods. The Hulk, apparently, buys off the rack, as one page of his comic showed them on a clearence rack, with a salesman explains it is made from a special material that has a great amount of give to them, though not as much in the cuffs and waist, thus explaining why it always rips there when Bruce Banner gets the grumps. A recent story line showed an unethical clothing designer stealing a sample of the unique cloth, and found out that how dangerous it can be to mess with. You see, if the unstable molecules are "unlocked" from its normal state, it will start to infect the surrounding matter, changing one material into that of its neighbor. This can lead to deadly results when it connects with living tissue. Fortunately, when the afore mentioned designer sets such a chain-reaction, it is contained in one of the Invisible Woman's force-fields. However, despite this potential flaw, these unstable molecule uniforms are the choice of the well-dressed super-hero. Wether it is to keep from breaking under extreme pressure or to be able to prevent it from being burned to a crisp, unstable molecules are the key. In the future, we will look at the uniforms of the DC universe. Also, remember that Four-Kolor Kitty is always ready to answer a question or take a suggestion for future installments. Just page #mail PatchO'Black, and you might just see it in the @Action News. Until then, see you in the funny pages! Q: What is Syrian mouse-like, but not like a Syrian mouse? Q: How do young male Syrian mice act? Q: Why did the Syrian mouse mom spank her son after they went out foraging together? A: He was getting too cheeky with her. Q: Why should you always take your Syrian mice out of their cages to play on a regular basis? A: So they don't go 'ster crazy. Q: Why should you never serve a British spy a martini with a Syrian mouse in it? A: British spies like their martinis shaken, not 'stered. Q: What do you get when you cross kangaroos with Syrian mice? 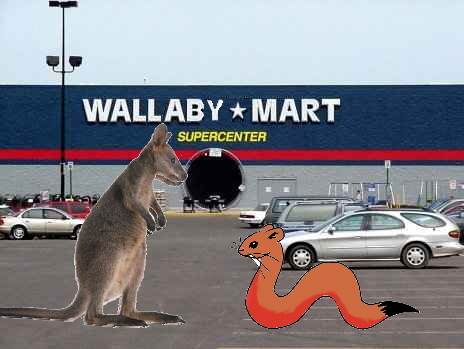 Q: What do you call someone who studies kangaroos? Q: Why did the sea otter start dating a clam? Q: And why was it a clam? A: He still just wasn't really into big mussels. 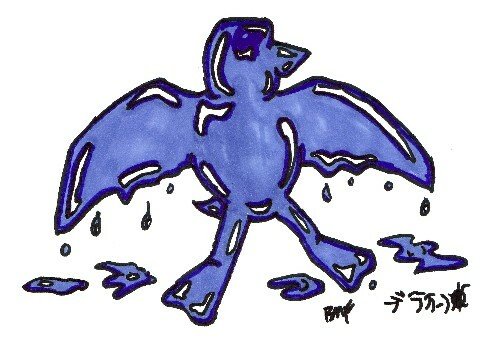 Q: What kind of bird lifts its big, colorful tail...and sprays all over the place behind itself to attract a mate? Q: Where did Dora the Explorer meet her best friend? Q: And where does Dora go on the computer to chat with him? Q: Who rides around with his sidekick Dora and throws banana peels and feces at windmills? Hi all Ba'ar here with your usual survey for Spindizzy @Action News. If there were a TV show filmed in Spindizzy, what would it be like? Argon says, "Hmm... well, it'd probably be based on James Blish'e stories. "Based" on the books about as closely as the movie Doom was based on the game considering the residents of our SpinDizzy are quite different than the characters in Blish's books. It ought to be a 'reality show' and follow a character or group each episode." Ray purrs, "'Big Coati's House.' or A Virtual Reality TV program which features a wackily diverse group of critters in an enclosed environment." Cora growls, "I'd like to do a cooking show..'Cooking with Cora'." Barbarabelle murrs, "I'd team with Vixie to do a fashion show." 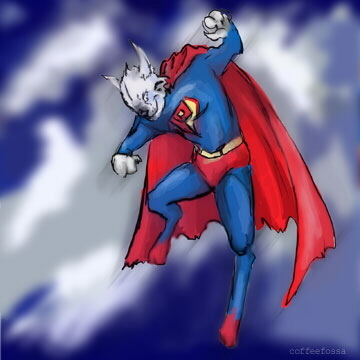 Ba'ar growls, "My vision would be some kind of 'American Idol' show featuring Morticon as our very own 'Simon Cowell'. The only problem with that would be that the SED's entrants would be favored." PatchO'Black mews, "It would be a dramatic comedy." Borris Gruffs, "Wild Wild World of Humans!" Tanuki barks, "Right now I think Spindizzy as a TV show would watch like some Reality thing... though as recently as three years ago and older I'd have probably described it like those Disney not-really-superhero things." "I'm telling you, Morticon, we'll make millions!" Got something that you'd like to contribute to @Action News, but aren't sure if you should, or how to do it? Just get in touch with any of Argon, Skyler, or Findra, and they'll be happy to help! Here are some basic guidelines, though.